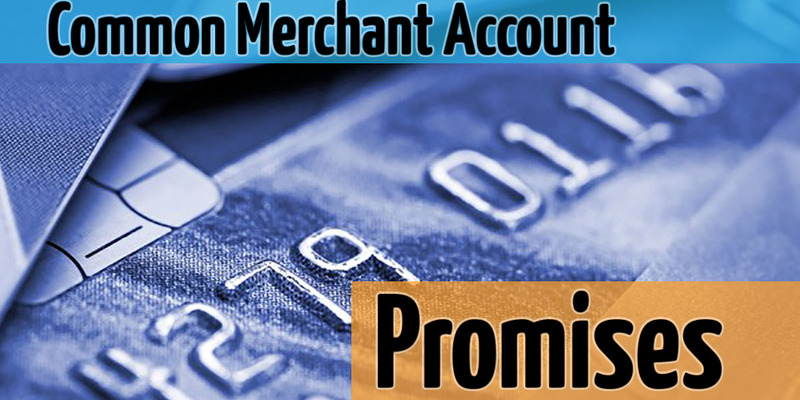 What makes one merchant account provider better than the next? This is a dangerous question albeit a common one. It’s a staple of the local business networking circles and it’s used as an opener to get a conversation going. I hear this question being asked all the time amongst business owners and vendors seeking to latch on to something that will separate a certain product or service provider from the rest. I see the question posted internet forums and chat rooms frequently. In an ocean of merchant account providers sprinkled with a commodity based selling mentality, how do you cut to the core all the platitudes and find the right provider? Most marketing claims can be classified as platitudes. A platitude is a stale, dull or common remark presented as though it’s of great significance. It’s a position or stance that is claimed without the ability to measure it. A position that by nature is difficult to disprove because of the ambiguity of the claim. In other words the claim cannot be challenged without an open debate with the person or company making the claim. If someone claims they are the best at providing a service or that their product is the best, what are they attempting to accomplish? By far and away my favorite is the lowest rate guarantee. It’s borderline insulting to business owners since it is blatantly obvious that only one provider can offer THE LOWEST rate. Lowest is absolute. There can only be ONE lowest. And yet, you see it everywhere. Multitudes of companies claim this as though they have just invented electricity and this claim is as old and stale as the sliced bread expression. Furthermore how can this possibly be measured? Are you supposed to gather quotes from every single provider that claims lowest rates or best customer service and compare them? I don’t envy the person who is willing to tackle that task. These are some examples of marketing claims that can be true from multiple providers and not just the company claiming them. However, some marketing claims fall into the category of features and benefits and there’s certainly not a problem letting potential customers know that next day funding or 24 hour approval is offered with their service. In defense of nearly every company out there who has ever claimed one of these hard to avoid platitudes at some point in their marketing career, some of them can be accurate. Not every company claiming that they have “superior customer service,” does. Some companies don’t treat their customers like family. Some sales representatives don’t act in a professional manner with their prospects. Some businesses should be avoided because their motives don’t embody the integrity that we all desire. Knowing what you’re looking for beyond the question of “what makes you different” is vitally important. Are the benefits being presented to you, unique only to the provider offering them to you? They may very well be. Some companies have superior customer service. Some businesses really do embody that “everybody is family” approach. Look at the service you receive when you walk into a jewelry store. You’re likely greeted with a warm welcome and an invitation to ask questions at will as you browse the cases of sparkling jewelry at your leisure. It’s quite a bit different than when you walk into a Walmart, for example. I’m suggesting that you tighten the reigns a bit and be a little more critical of claims that a company is making in effort to get your business. Don’t view merchant services as a commodity where you just shop for the lowest rate. There are providers who simply say things in order to get a signature on the contract. Don’t fall victim to buying from a company that offers half the story. The answer to what makes a company different than the next is subjective and will be unique to you. It cannot be answered as an absolute so here are some question to help you sift through the thick grassy field of options. Think of the last service or product that you bought for your company OR for yourself. Why did you buy from that company? How were you treated during the buying process? What specifically made you decide to buy from at person or that company? Did testimonials or social proof play a role in your decision? As long as you have a good idea of what’s important to you and you know how you want to be treated as a customer, selecting a merchant account provider gets easier. Instinctively you will get an idea as to whether or not a provider is steering you in the right direction as your interact with them throughout the interviewing process. Follow you gut along with the guidelines that I’ve laid out for you here and you’ll be headed in the right direction. If something rubs you the wrong way, that little voice in your head is probably worth listening to. Know the proper questions to ask and you won’t have to blatantly ask “what makes your company different,” because you’ll already know the answer. If you have thoughts on what makes a company different than the next, please leave us a comment below.